Editor’s note: This post was written by Sunalini Rana, a working mom who left her stable career as a human resources manager to pursue her dream of becoming a professional blogger. She’s self-taught in web design and photography, and always loves learning new things and helping others along the way. She also has an unhealthy passion for delicious food like pizza and burgers. So you are fussy when it comes to the appearance of your site. You do not want too many design elements and overloaded widgetized areas. You then probably prefer of WordPress minimal themes – these are exactly the templates that will suit your needs and requirements. Finding such themes is not easy, not because there is a scarcity. On the contrary, there is too much to choose from. Just do a simple search, and you can easily find hundreds of minimal WordPress themes. The task is to find one that will suit you perfectly. I have created a beautiful collection of 60 WordPress themes based on minimal and clean design. They are very efficient and engaging. I have shortlisted them after taking various parameters into account, such as speed, customization scope, and decent design.. They are very versatile and come at various prices. These themes are the flavor of the season and the best thing about them is that they go with all segments such as health, fashion, eCommerce, real estate and many more. Take a look. Though Spike is vivid and vibrant, it has a minimalist touch, so that you get excellent functionality. 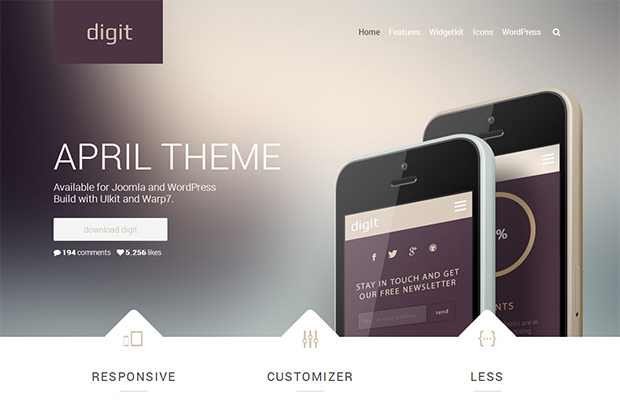 The theme is designed with modern techniques such as HTML5, CSS3 and jQuery. Its features are also up to date and the theme gives you the best package for $35. 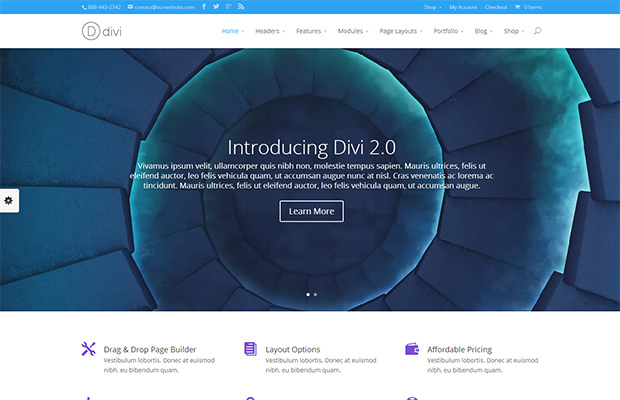 Divi is a smart and flexible WordPress theme that has been built on a strong foundation of powerful features so that you get complete creative control over how you build your website. It is minimal and thus, gives maximum performance on all screen sizes. 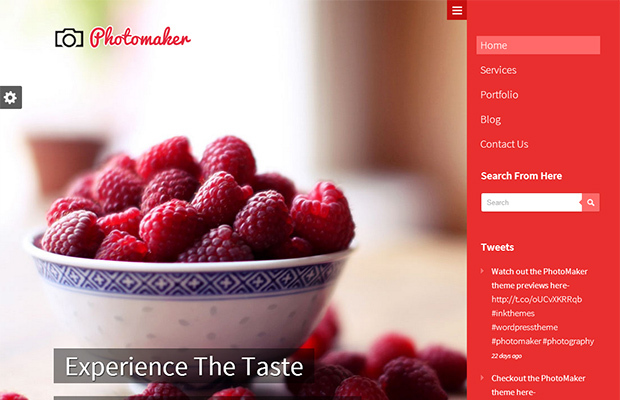 Now get ready to give amazing exposure to your content with PhotoMaker. It is ideal for photographers as well as businesses. Minimal design and strong features are its USP and give it nice rendering on all screen sizes. 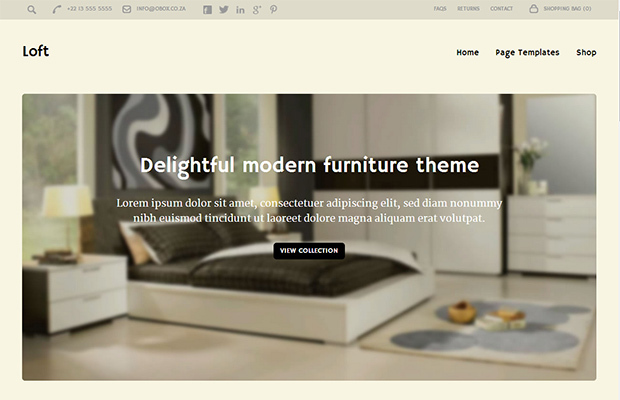 MagXP carries 4 homepage layouts and an options panel that lets you control the design the way you want. It is a marvelous collection of form, functionality and flexibility. 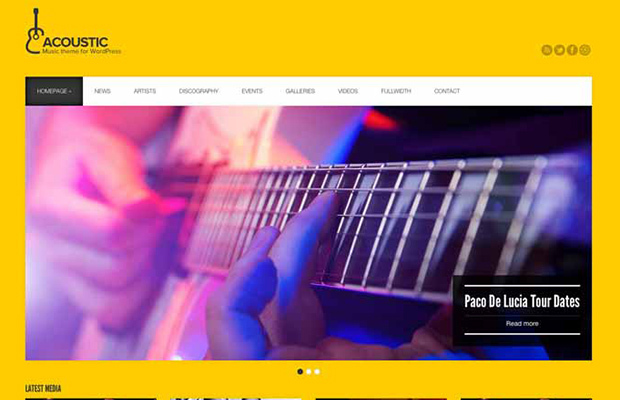 Acoustic is a minimal music WordPress theme with all the complementary features. It is ideal for DJs, Solo artists, Bands, Collectives, Club Owners, music producers, events producers and anyone in the music industry. 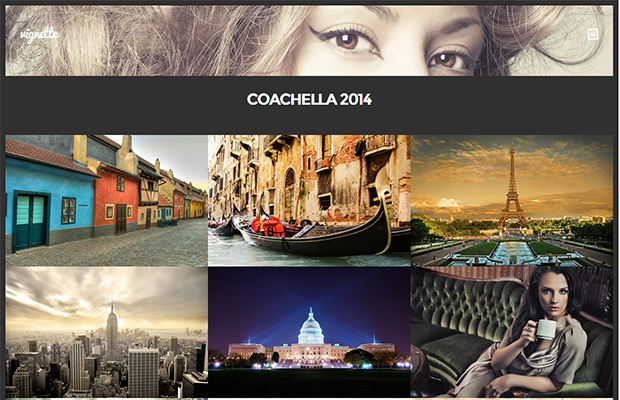 The theme lets you manage videos, audios, artists and events with fabulous ease. Appropriate for any designer, creative person, business, corporate or agency; Newster is a clean and modern responsive magazine WordPress theme. It is SEO ready, WooCommerce ready and lots more. 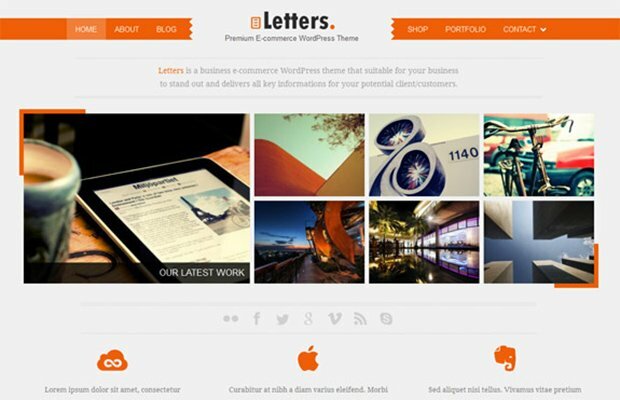 Letters is a minimal WordPress theme with a very unique appeal that can give your business, portfolio or eCommerce platform best performance on all screen sizes. It is very lightweight, easy on the eyes and stylish. Featuring built-in Exchange styles, multiple alternate module styles and several post-format styles; Madison is a theme that will serve your purpose to the hilt. It is very minimal and flexible, giving you all the raw material you need to march ahead in style. Clean, super flexible and fully responsive; Scroller is a WordPress theme that would go great with business websites, online studios, and users who want to showcase their work on a beautiful portfolio site. You have got to test it once. 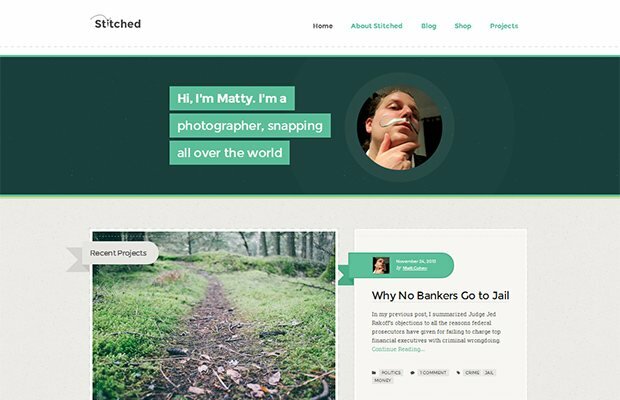 Stitched is a lean and minimal theme for artisans. It welcomes your visitors with a friendly look & feel, telling them about yourself via the homepage introduction component. If you are looking for a wedding theme that is modern and elegant, Sweetly is a suitable choice. It is well endowed with functional features and can also gel well with personal, photography, portfolio and gallery websites. 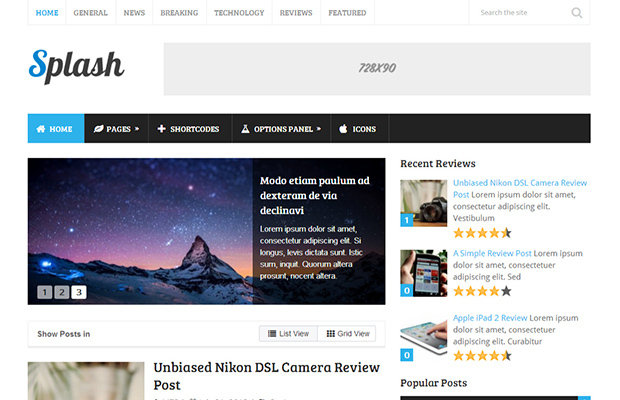 Emerald is a bright and lively magazine WordPress theme from MyThemeShop. It features a fully responsive design, cutting-edge HTML5 and CSS3 markup, a full complement of widgets and integrated options. You can easily get it installed and get going an awesome start. 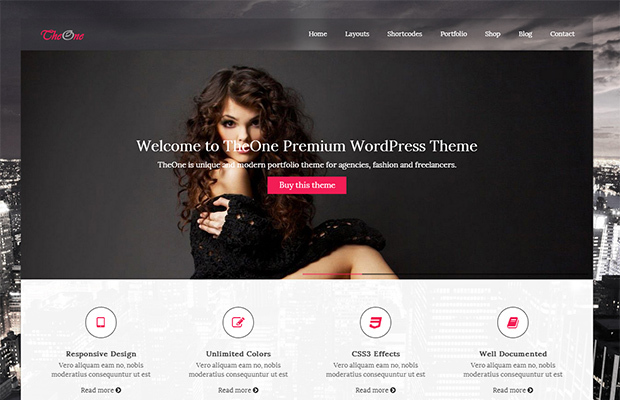 Suitable for a wide range of websites, TheOne is a very competent theme. It is cross browser compatible, responsive, SEO optimized and many more things. You can use it for corporate, business, fashion, photography, creative, portfolio, eCommerce and many other niches. 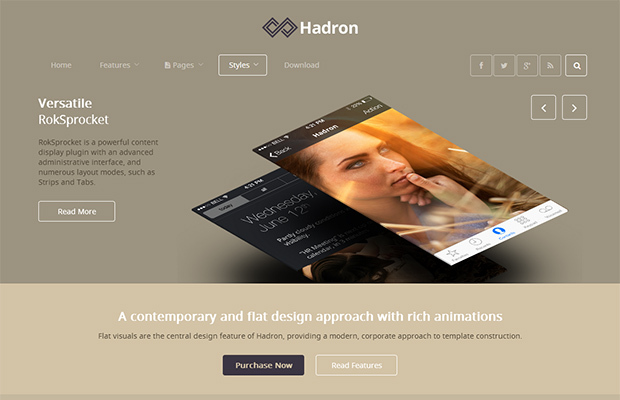 The flat design of Hadron and rich animations are its prime features. It provides a modern, corporate look to your platform and ensures audience inflow as well as rise in search engine ranking. 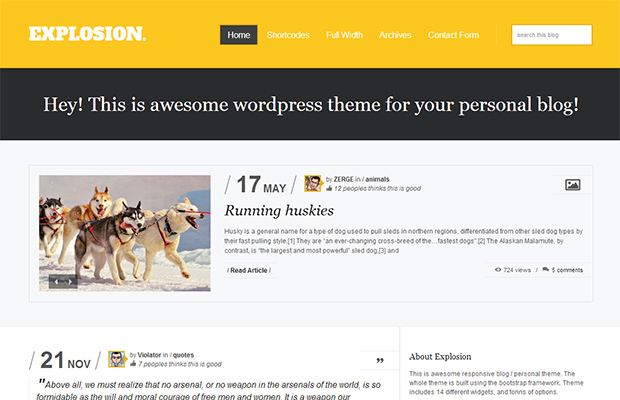 Harrington is an extremely beautiful and alluring WordPress theme. It is meant to give a true appeal to your business in front of your audience. You will definitely like its interesting elements that can engage your audience for long. Koorsi is an eCommerce and portfolio WordPress theme with a clean and simple design to serve your furniture store or workshop. It displays your products in a very orderly and engaging fashion which makes customers flow in and take notice of the merchandise. 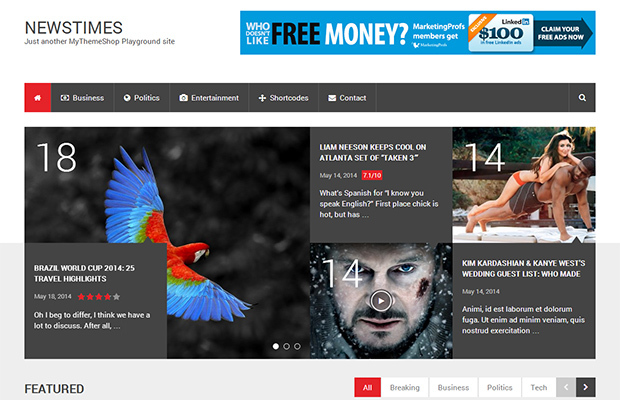 Explosion is a minimal responsive WordPress theme, best suited for Magazines and Blogs. 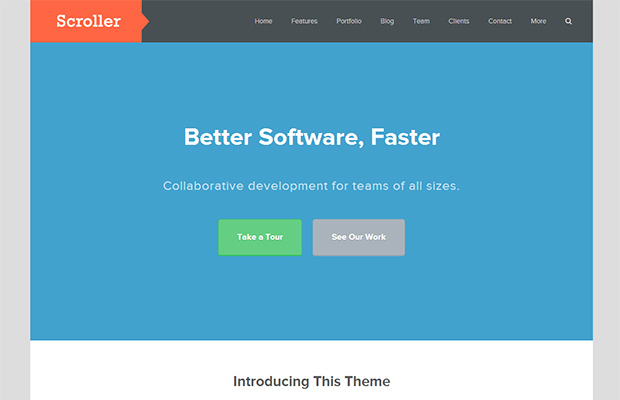 It carries 13 awesome widgets, 10 post formats, awesome Page Builder and tons of theme options. You can easily mold it as per your specifications and give it the style you like. 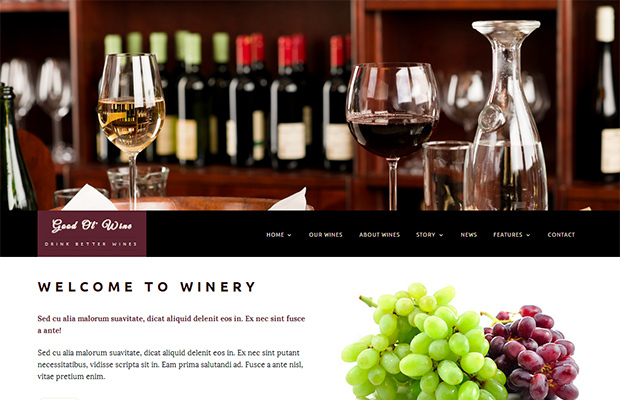 “Good Ol’ Wine” is a tailor made theme that has been designed for wine lovers and wineries. 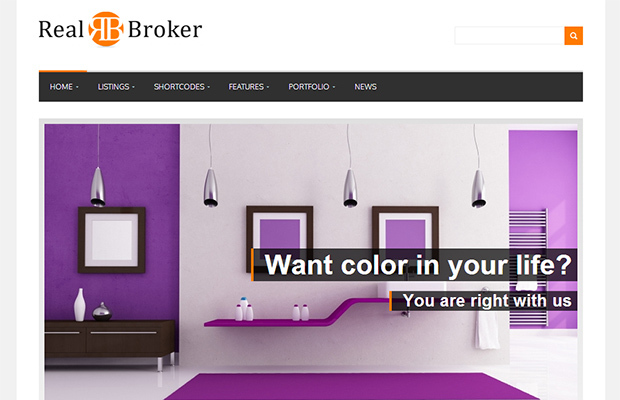 It is beautiful, responsive, easy to use, customizable and many more things. With it, your site looks good on all devices and gives its best performance. This is a video theme through which you can share videos from YouTube, Vimeo or dozens of other sites. It has been designed to be fast, audience friendly and flexible. It is a good investment decision. 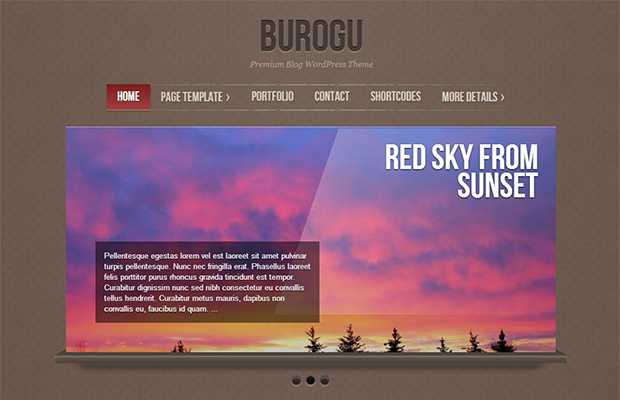 Meet Burogu- a minimal WordPress theme that utilizes the WordPress versatile post-format feature and lets you classify your blog posts just as Tumblr does. It is very efficient and endearing, armed with the entire arsenal that can bring you in the front row. 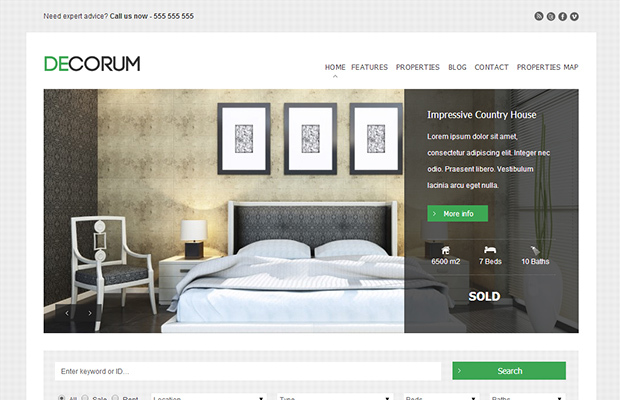 deCorum is loaded with a minimal style and extensive layout options so that you can create your site in any way you like. It is meant for the real estate niche and you can do anything with it, without any coding skills. Carrying a bunch of bright features and customization alternatives; Digit is a strong theme with wide screen layout. You can easily modify it, directly in the Warp administration. 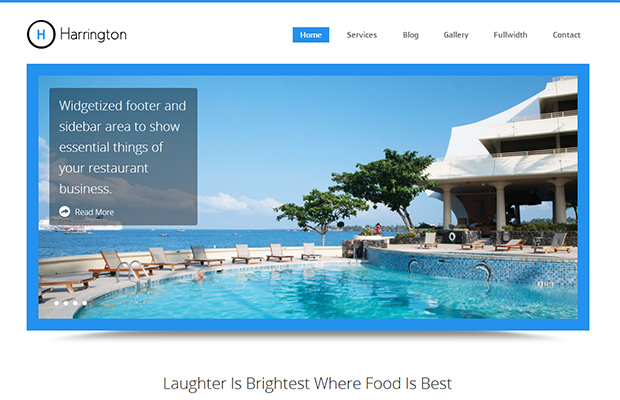 Its optionally fixed navigation, which scales down on scrolling, is a very alluring attribute. 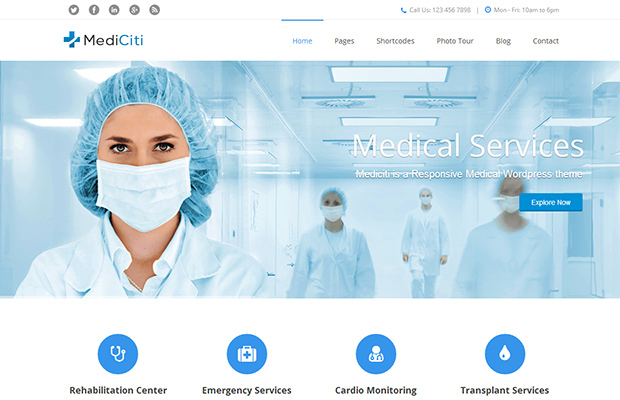 MediCiti is a suitable WordPress theme for medical, clinics, hospitals and health related projects or any other medical related websites. It has all the good features such as SEO optimization, translation readiness, intelligent admin panel and lots more. 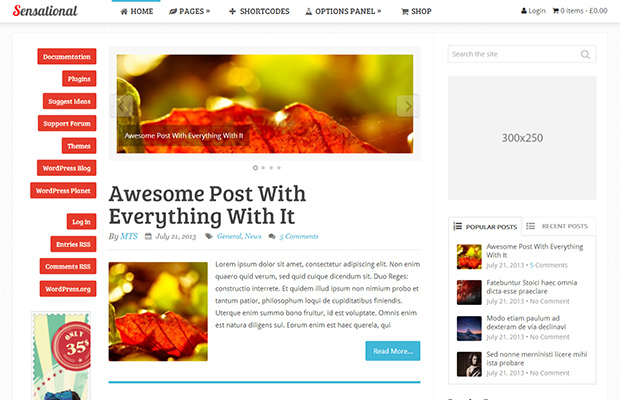 Monospace is a uniquely designed, multipurpose and multifunctional WordPress theme that is available at MyThemeShop for $35. It is completely customizable and offers you unlimited color variations to design your platform in the shade of your choice. 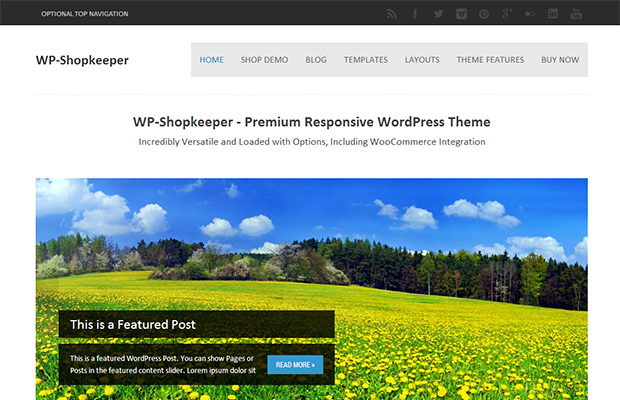 WP-Shopkeeper is a perfect eCommerce theme for selling anything. With it, you can load up an interesting image, add a description and your pricing, and get ready to sell your products or services. The features are completely advanced and you can customize it in any way you like. 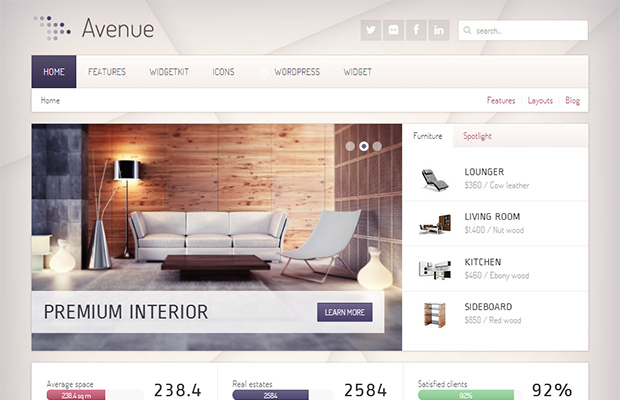 Ideal for business as well as individual use, Halcyon is an elegant and designer theme. It gives you all the power to prepare a professional and pretty pitch for your website. 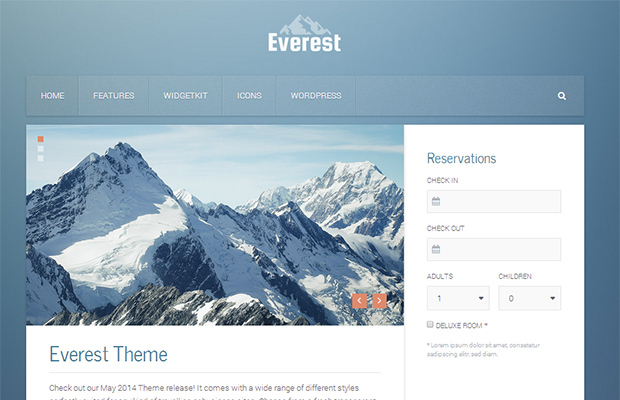 The theme is flexible, fast and fully fantastic. 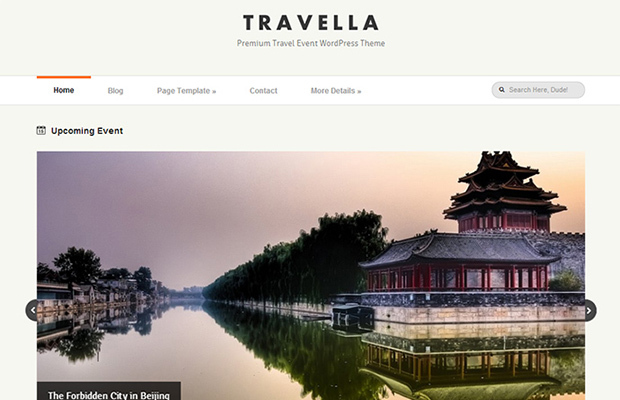 If you want to build a travel related blog or site, Travella is an ideal choice. It helps you develop a personal blog, share trips, photos, events, and much more. You can easily get it designed as per your needs and requirements. Logo Designer is a very moldable minimal theme that you can use to showcase your art work or your portfolio. It is very responsive and a great option for creative professionals. Its clean design and mobile friendly layout make it a smart choice among all and one. 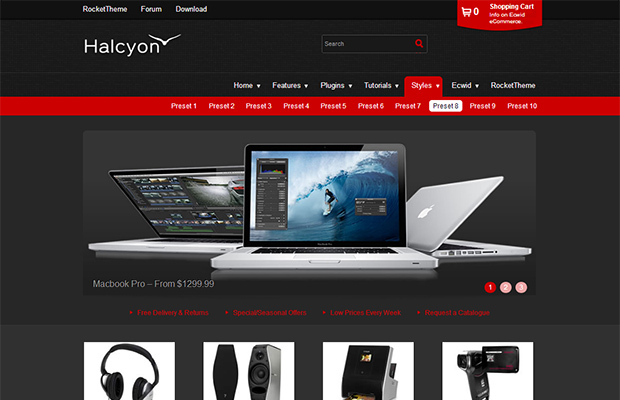 Here is an amazing eCommerce theme with the power to transform your retail business into a beautiful eCommerce website. Herringbone is built on Bootstrap and well integrated with WooCommerce and other powerful features that can make you the master of online selling. 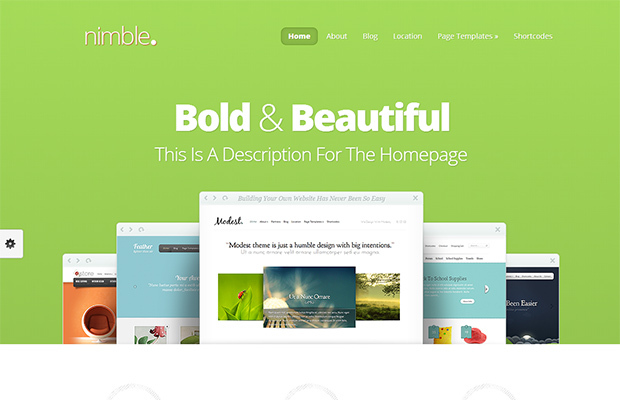 Nimble strikes a perfect balance between style and design. It is a big, bold, and beautiful theme which ensures amazing performance on all types of viewing platforms. 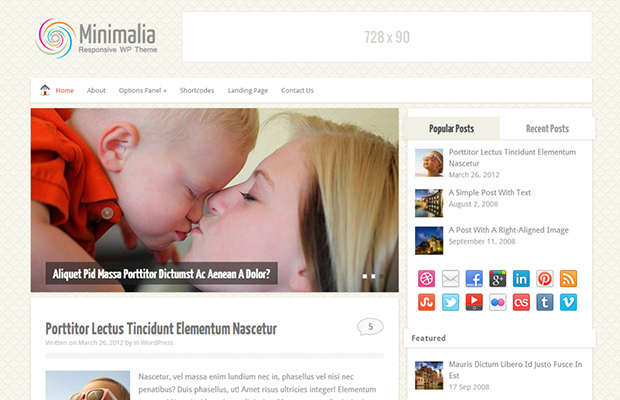 It will be a perfect choice for any kind of site or blog. 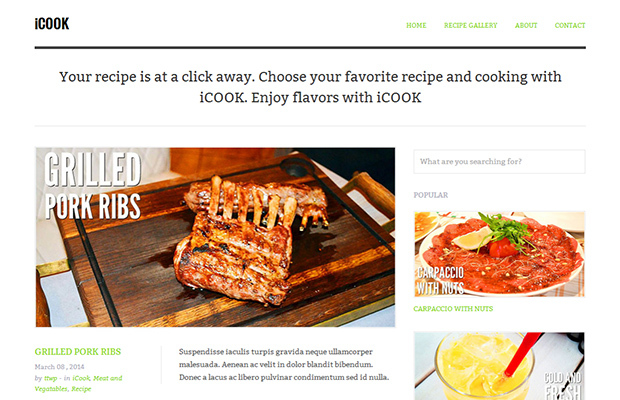 iCook is a Food/Recipe WordPress theme with clean, responsive design. Its features have been cooked well and have the ability to give you quick success and popularity. It is also super easy to use and gets going in simple and easy steps. 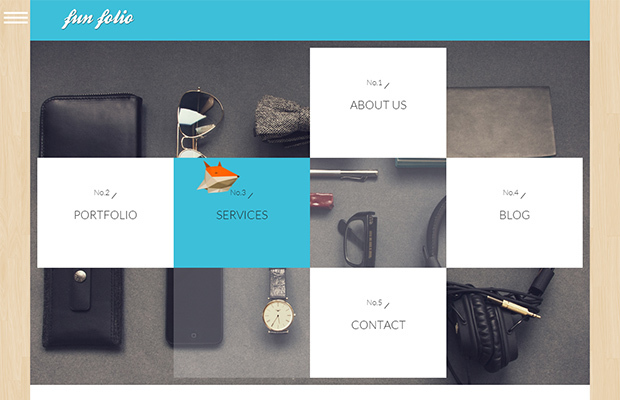 Packed with features and animation, Fun Folio is a light, clean and minimal WordPress theme. 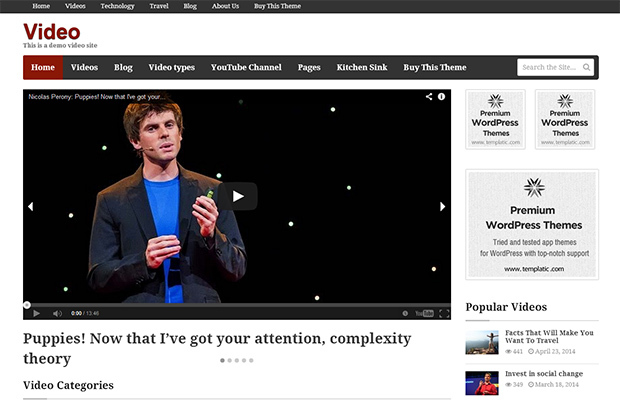 It is fully responsive with crisp typography, and an optional video background and a masonry portfolio. Priced at $49, it gives you complete value for money. 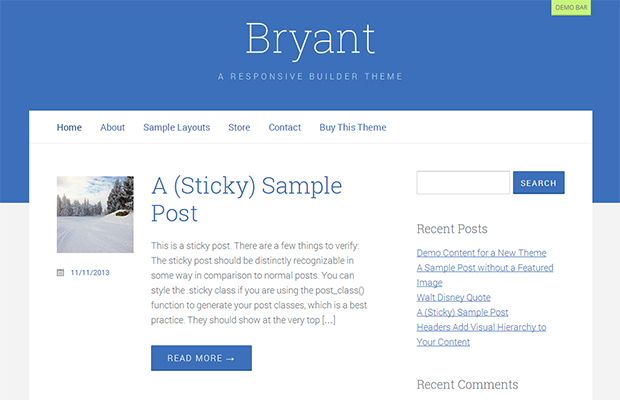 Bryant is an exceptionally clean, beautiful and bright WordPress theme. It features built-in exchange styling, custom module styles, a responsive design and many more things. Want to showcase your products in a magnetic manner? The simple, clear and customizable Storefront is here to serve you. 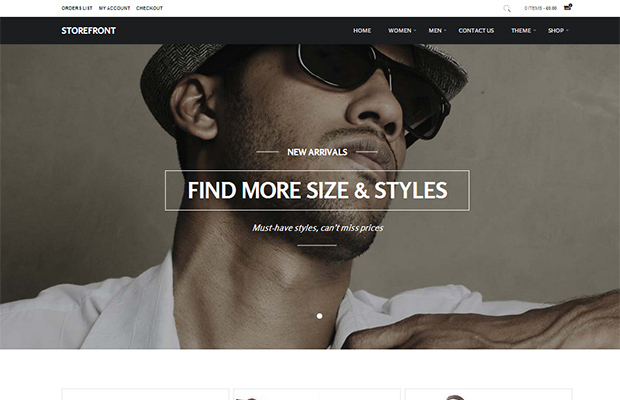 This webshop theme for WordPress has everything to help you achieve success in eCommerce, even if you are a beginner. Minimalia makes for a perfectly suitable theme that exudes focus, simplicity and competence. 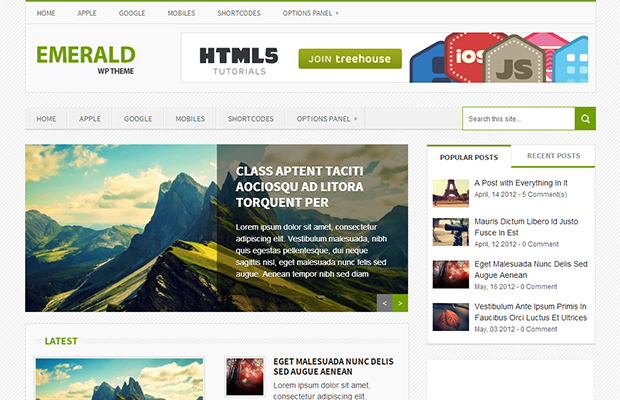 It is an amazing, responsive WordPress theme that has the perfect combination of aesthetics and functionality. Minimal templates’ aficionados would definitely like it. 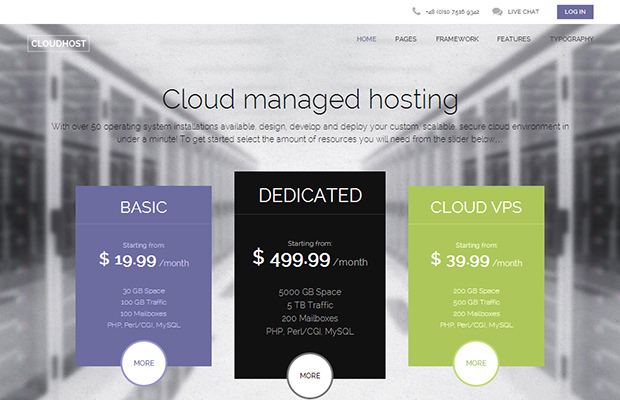 This theme is for those businesses that offer web hosting services. It reflects focus, flexibility and power which is exactly what such businesses look for in a theme. The template is very friendly and lightweight. Video Theme is for videographers, film makers and others who deal with moving images. Its clean design and minimal layout have been crafted to give you maximum speed and proper performance. The features are also friendly and framed to fit the special niche. 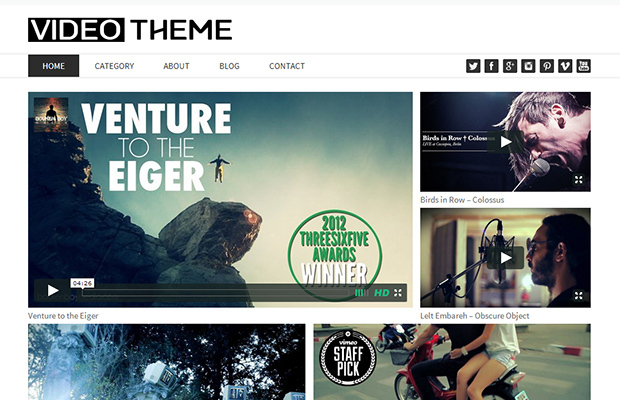 BeTheme is one of a kind theme that goes much beyond being a backend engine. Its advanced options panel and Drag&Drop builder tool give you unlimited possibilities to design things the way you like. 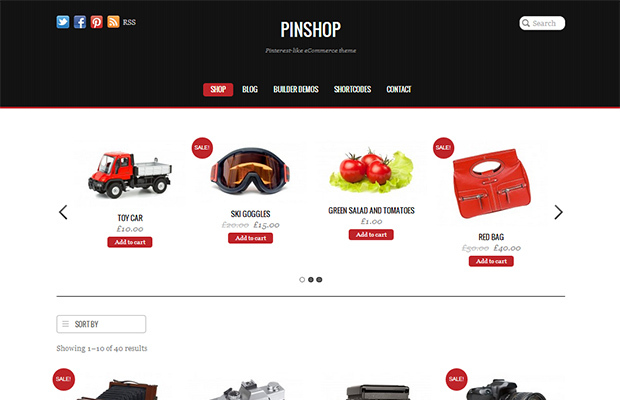 Pinshop is an eCommerce theme that has its roots in the Pinterest site. It is very smooth and makes your products load in an effortless manner. 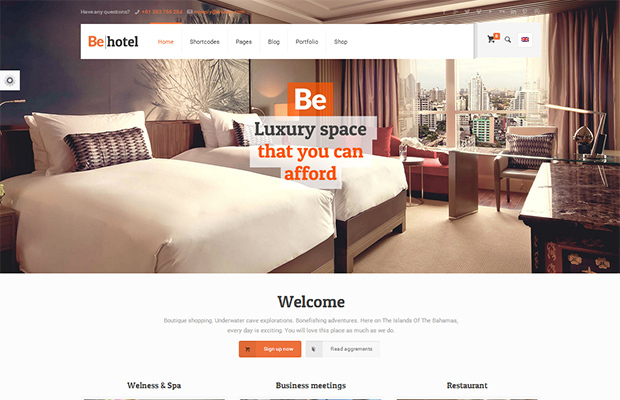 The theme is designed to provide class to you and convenience to your customers. 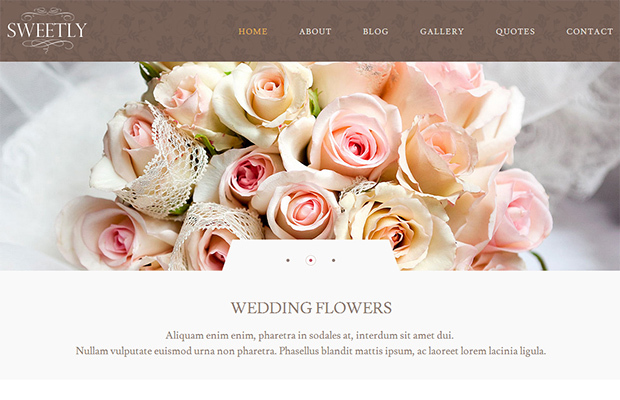 A wedding template has to be clean, crisp and catchy. Wedding understands this fact and thus, keeps things minimal and beautiful at the same time. With it, you can share your journey and do all that you have been dreaming of. 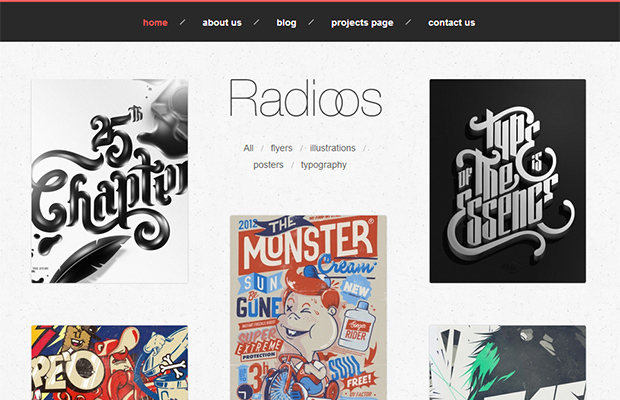 The $35 Radioos theme is a nice WordPress theme that can serve as a classic and simple portfolio site. It has the ability to showcase your amazing projects in an eye-catching and effective manner. With smooth drop shadows, condensed typography and light gradients; Avenue is a very distinct theme. It features a modern box styled layout and offers you all the options that are needed to catch attention of audience and search engines. 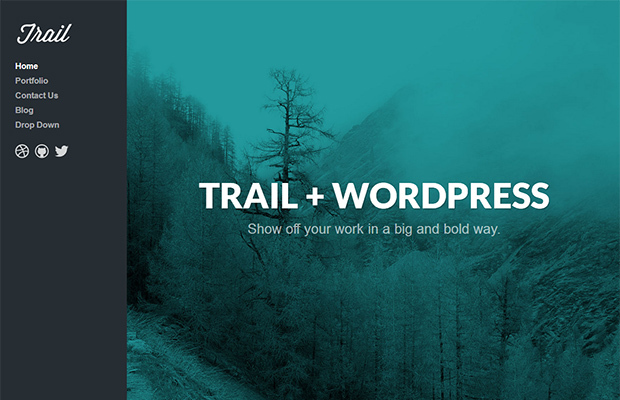 Big images and beautiful typography are the highlight of Trail. 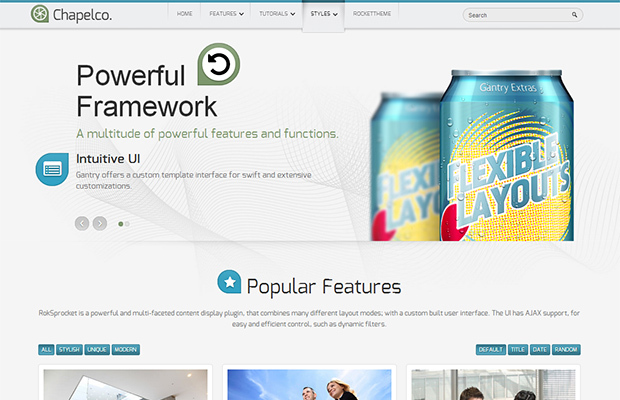 It is a multipurpose portfolio theme that features a full screen vertically scrolling parallax home page. There is lots more and you can have a taste of all that through a simple demo. 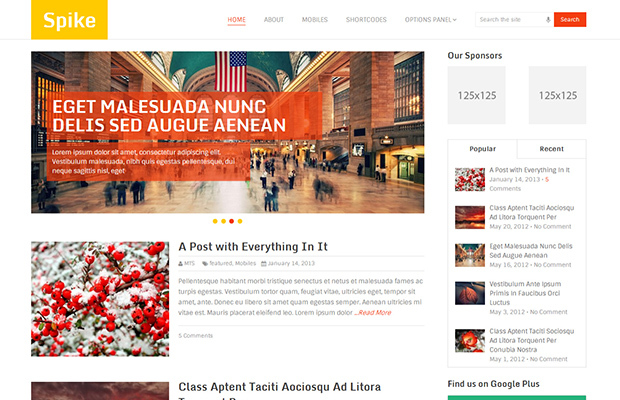 Sensational, from MyThemeShop, is a very vibrant theme that brings out the awesomeness of your blog to the fullest. It works like magic and does not give up at any point. You can blindly trust it and rest assured that everything will go great. 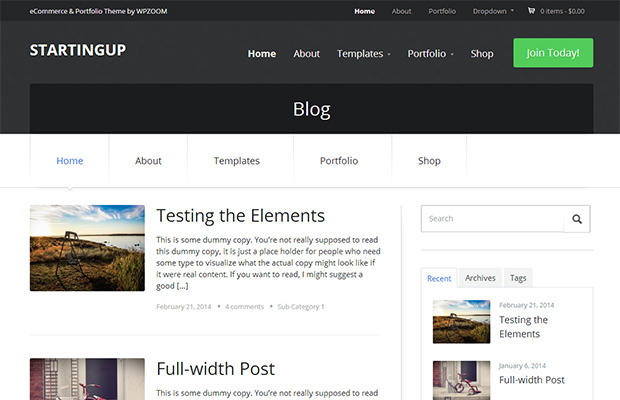 StartingUp is a powerful multipurpose theme that you can use for any kind of website. It is packed with all the needed features like Portfolio and eCommerce. Just get it started and you will be up and ready with a bang. Vignette is a stunning theme that has been built for photographers, models, or anyone in the photography industry who need to showcase their work in a professional manner. It is accompanied by a plethora of features and customization alternatives which means you can easily achieve success. Designed for the real estate niche, Realbroker is a fully responsive WordPress theme with extensive options and functions. It gives you powerful options to display your properties and communicate with potential buyers. 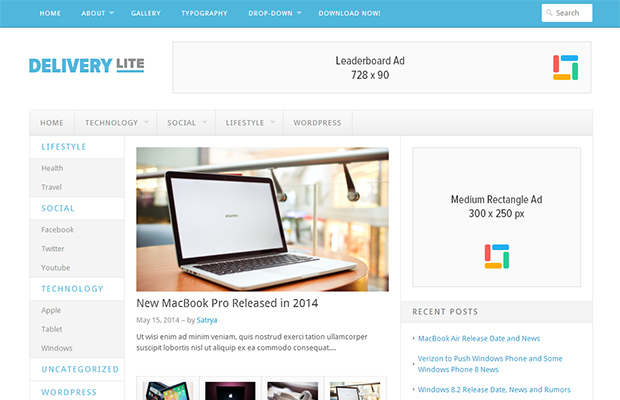 Delivery Lite, true to its name, is light and delivers on all screen sizes. The theme was released just a month back and hence, offers you all the latest features and formulas you need to change the world. 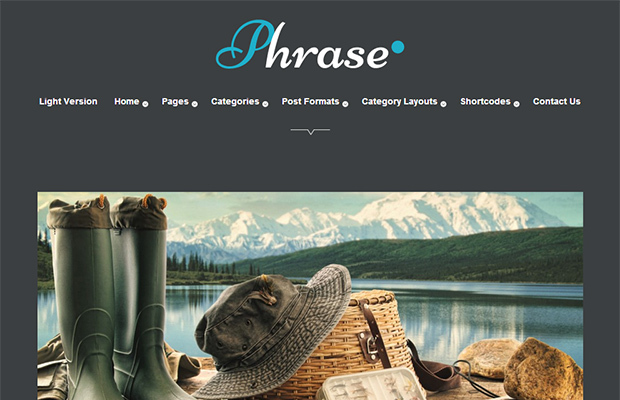 Meant for Magazines and Personal Blogs, Phrase is a responsive WordPress theme having everything in the right place. It comes with 5 custom widgets, 10 post formats and tons of theme options. 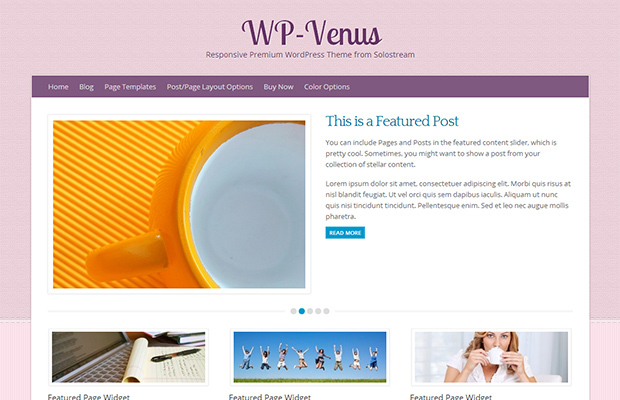 With its soft colors, clean layout and extreme versatility, WP-Venus stands out from the crowd. 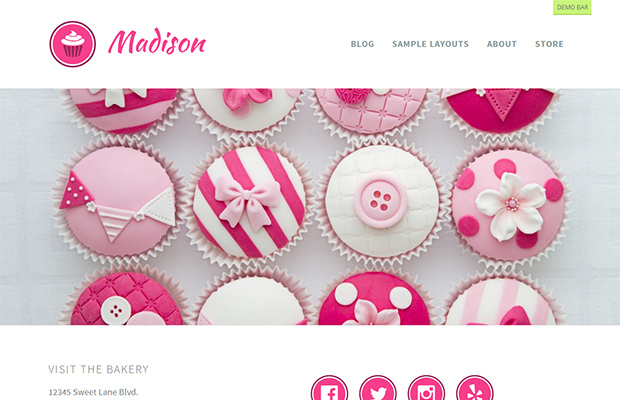 The theme is an ideal choice for your next blog, business website or online magazine. It has a feminine touch and hence, would appeal to all blogs and sites that cater to women audience. Chapelco is a classic presentation of RocketTheme. It dons a professional cover and gives your site the best rendering on all screen sizes. The features are also ample and effective and thus, you can easily bet your money on the template. 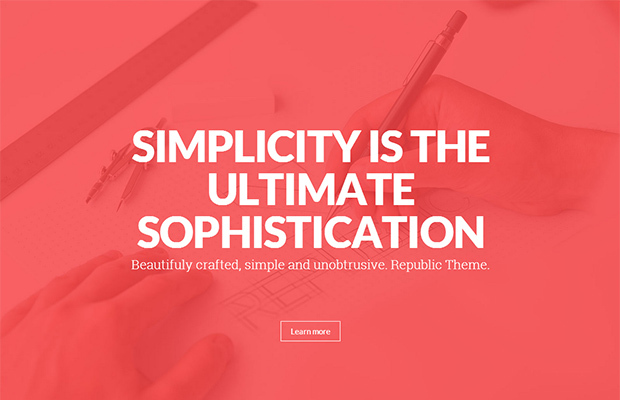 Republic is a clean, modern and minimal One-Page parallax WordPress theme that can grab eyeballs very quickly and easily. It is fit for corporate, agency, photography or general business. 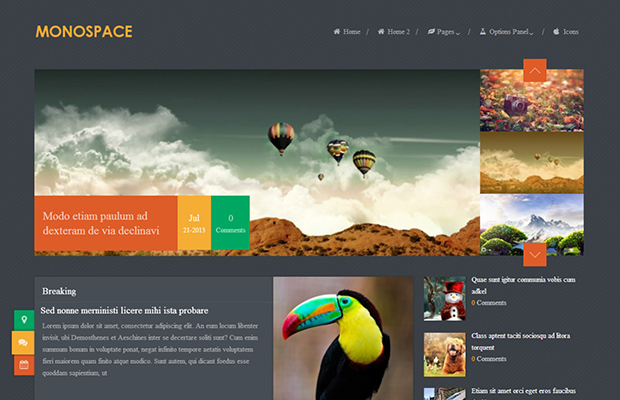 This MyThemeShop offering is full of life and colors. Splash can take your blogging to the next level with its powerful functionality and beauty. It integrates review blogging and maximizes content impact. 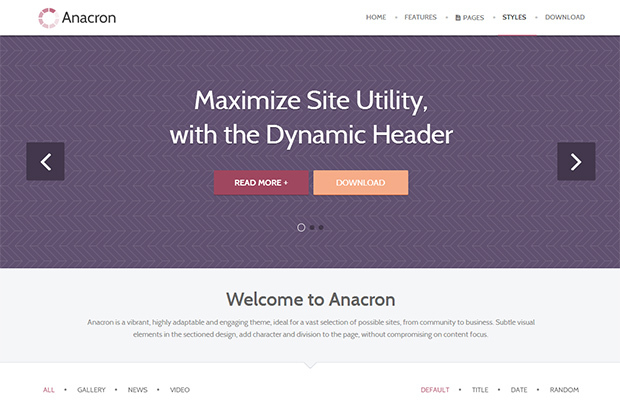 Meet Anacron- a vibrant, highly adaptable and engaging theme, ideal for a vast selection of possible sites, from community to business. Its visual elements in the sectioned design add character and division to the page, without compromising on content focus. 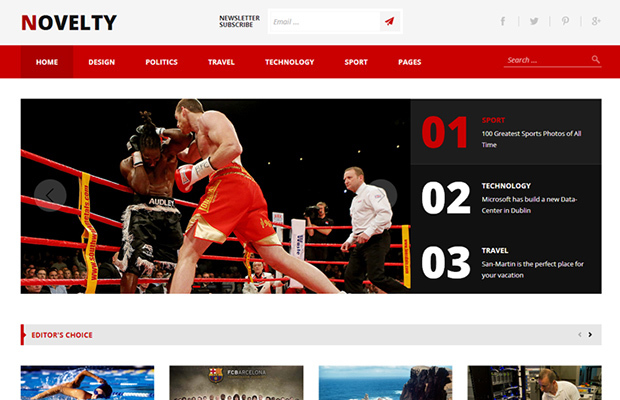 Novelty is a content focused premium magazine WordPress theme with bold, modern, responsive design and lots of great features to power your news or content sharing website. It carries every new feature and also offers flexibility to design things the way you like. 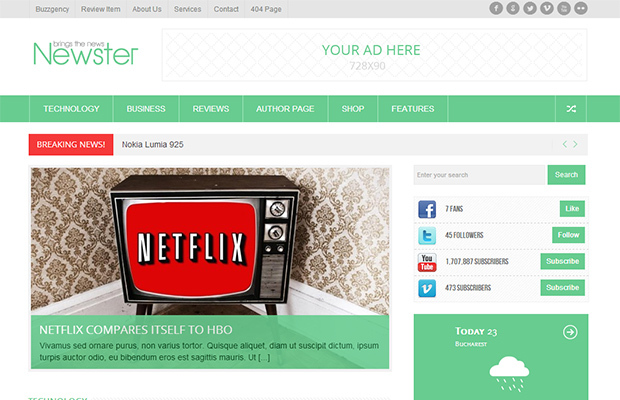 Looking for a fresh modern theme that will give your platform a different look? Go for Everest. The theme is fit to serve your purpose and very performance oriented. You will have a great time, once you decide to bring it home. Easy to manage, convenient for customers, capable of serving multiple purposes and lots more; these are the features of Loft. 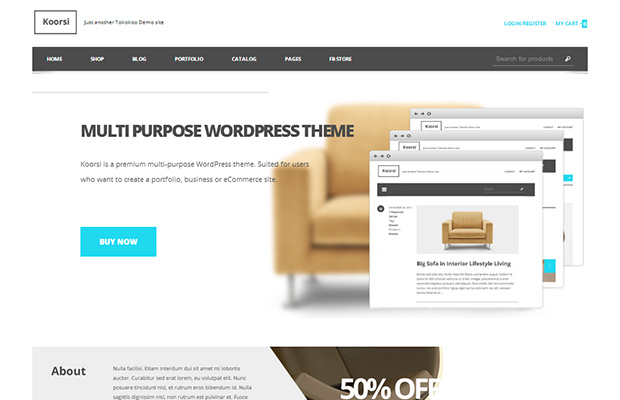 It is an amazing WordPress theme that would work perfect as an eCommerce template. You can use it to promote sales, featured products and categories. The $49 AviLon is a classic theme with unlimited layouts, unlimited colors, ultra responsive design, minimal layout and many more attributes. It suits all kinds of businesses- group as well as personal. 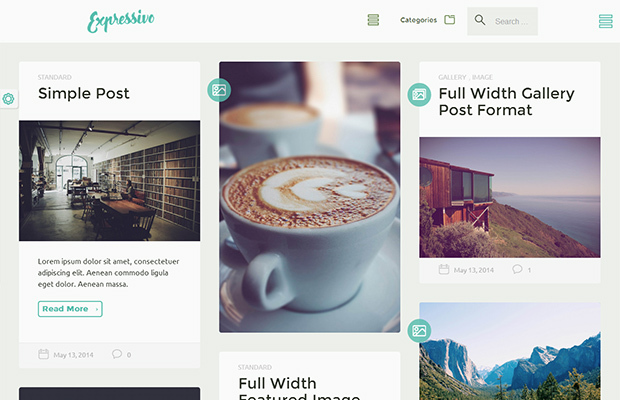 Created on 22 May, 2014; Expressivo is a minimal lifestyle WordPress blog theme. It supports multiple posts formats and has got all the contemporary features one needs to do well in the competitive cyberspace. There are many compelling reasons that make you go for NewsTimes. 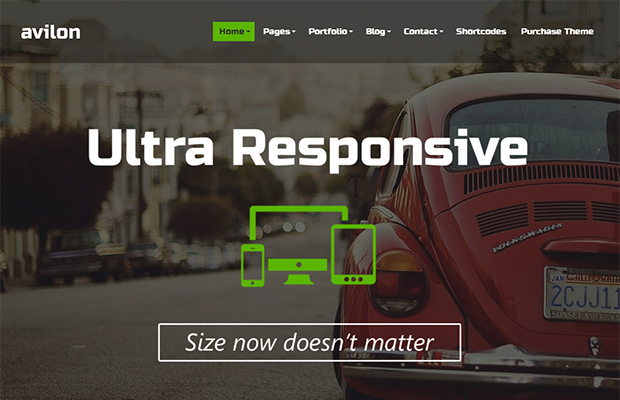 It is pixel perfect, ultra responsive, beautiful, fast, SEO optimized and many more things. It utilizes the minimalistic approach to the fullest and gives you optimum benefits and advantages for just $35.